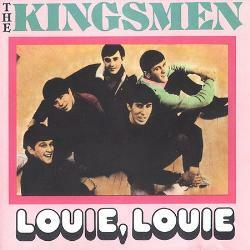 1964, Responding to claims that the Kingsmen’s incomprehensible “Louie Louie” is pornographic, the song’s publisher, Max Firetag, offers $1,000 to anyone who can indentify the “suggestive” elements in the song’s lyrics. 1968, The Band Of Joy, featuring John Bonham and Robert Plant, made their first London appearance, supporting Edwin Starr at the The Marquee Club in London. 1969, ‘TBC’ by The Supremes with Temptations went to number one on the album chart. 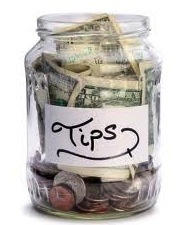 1969, Eric Clapton, Ginger Baker, and Stevie Winwood announce they are forming a new group. But first they have to find a bass player. That turns out to be Family’s Rich Grech. The ensemble become Blind Faith. 1973, Max Yasgur died of a heart attack aged 53. He was the owner of the dairy farm in Bethel, New York at which the Woodstock Music and Art Fair was held between August 15 and August 18, 1969. 1975, Bob Dylan went to number one on the album chart with Blood On The Tracks his second chart topping album. 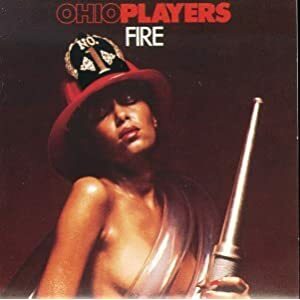 1975, The Ohio Players went to number one on the singles chart with “Fire,” the group’s first of two number ones. 1975, Queen release their first hit single, “Killer Queen.” It comes from their third studio album, Sheer Heart Attack. 1980, The divorce became final between David and Angie Bowie. He won custody of their son Zowie, Angie received a £30,000 ($51,000) settlement. Zowie would later revert to going by his middle name, Duncan. 1983, Winners at the second annual Brit Awards held in London included Paul McCartney, who won Best British Male Solo Artist, Kim Wilde won Best British Female Solo Artist, Dire Straits won British Group, British Breakthrough Act went to Yazoo, International Act was Kid Creole & The Coconuts, Best Selling Single was Dexy’s Midnight Runners “Come On Eileen,” and the Life Achievement Award went to Pete Townshend. 1986, Billy Ocean started a four week run at number one on the UK singles chart with “When The Going Gets Tough, The Tough Get Going,”as featured in the film The Jewel Of The Nile. The video was banned in the UK because it featured non-musician union members. Boyzone took the song to number one in 1999. 1990, American singer songwriter Del Shannon died of self inflicted gunshot wounds. He had been suffering from depression. Shannon scored the 1961 UK and US number one single “Runaway,”, plus nine US and twelve other UK Top 40 singles. Shannon had been working with Tom Petty and Jeff Lynne, and was rumored to be replacing Roy Orbison, who had recently died, in the Traveling Wilburys. 2002, Bob Wooler died aged 76. He was the resident DJ and booker at The Cavern Club in Liverpool during the early 1960’s. Wooler introduced The Beatles to their manager, Brian Epstein. 2005, Keith Knudson drummer with The Doobie Brothers died of pneumonia aged 56. 2015, British soul singer Sam Smith won four Grammy Awards in the US, including the prestigious prizes for Record of the Year, and Song of the Year for “Stay With Me” He also was named Best New Artist. Album of the Year went to Beck for Morning Phase. Link to the Today in Rock History archive.